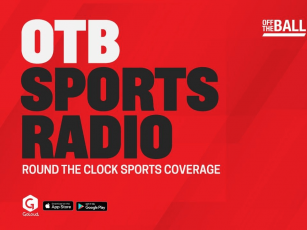 IRB's most experienced referee Nigel Owens’ joined Tuesday morning’s OTB AM to discuss a number of issues including the officiating of the breakdown. competition takes place at Dublin City University on June 8 and 9, with 45 teams from 15 countries. The two-day tournament aims to make rugby accessible for LGBT community. Owens’ said jokingly if players obeyed the rule nobody would have to worry about offside for defence or attacking side. Matt Williams and Alan Quinlan have been expressing their concern over the perception of the offside rule in recent weeks both from an attacking and defensive point-of-view. The Welsh referee believes on the whole that officials enforce the correct laws correctly in accordance to the offside rule. “Every game is different and the laws are there for a specific reason - and to allow a game of rugby. It’s up to us as referees to make sure we apply those laws. Ultimately the referee doesn't think it's a hug issue but says like late/high tackles they will address any infringements that hinder the game. “I don’t think it’s a huge concern, week in and week out. "Three or four years ago contact in the air was a huge issue. What we did as referees - we dealt with it,' stressed the Welshman. He says referees will control certain elements with greater vigour. Mynyddcerrig's Owens says they'll use a template from past incidents such as the strict laws placed upon the tackle if offside laws become untenable. "By refereeing it hard but fair, we don't see much contact in the air, anymore. We had the same with the neck and the spear tackles"